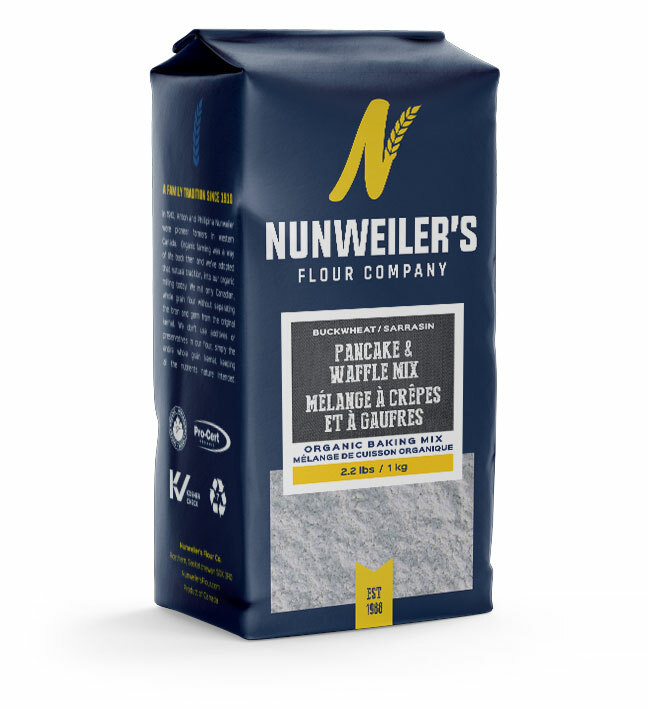 Nunweiler’s Original Whole Grain Mix contains 93% organic ingredients. It’s simple to make and tastes just like Grandma’s. Organic Whole Grain Wheat Flour, Non-Aluminum Baking Powder (Mono-Calcium Phosphate, Sodium Bicarbonate), Sea Salt.